Aisha Torah published this excellent devrai Torah, but we wanted to add a couple notes to help clear up this Talmudic mystery, paradox if you will. 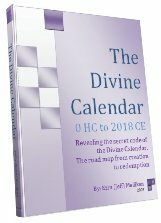 We bring this matter up, because we are soon to write about the Erev Rav and their ties to the dating of the final redemption, and some have suggestion that the 974 generations mentioned in Mishna of the 1000 mentioned in Psalms are the original Erev Rav (we’ll get into that in another article). Readers of this blog and The Divine Calendar know that (1000 -974) = 26 and that in all probability these 26 generations are the 26 generations from Adam to Moses when the Torah was revealed, fulfilling the statement above. but this is only a partial answer. We also know that the Covenant of Abraham was made in 2018 HC, 70 years after his birth in 1948 and that Israel became a nation in 1948 CE, 70 years before the fulfillment of the Zohar’s prophesy on 2018 CE (5778 HC) when Rav Yehuda Halevi Ashlag advised the Tree-of-life reality would be manifest. So now let’s look at what was hidden in the 974 generations. First off, it is half 1948, or in other words 974 x 2 years = 1948. And as we learned in our recent article on Miketz and the Final Redemption, the Arizal advised us that “2 years (which Joseph spent in prison) was a hidden secret of when the journey to Moshiach would begin and end. He advised in was in 1976 CE, or as we saw, 42 years before 2018, also give by the gematria of 2 years (ShNTYM YMYM). It’s simple math that reveals that (1000 + 974 + 2 years) = 1976, and also that (1000 + 974 – 26 years) = 1948, so it would appear there are indeed hidden codes given to us by King David in Psalms and Rabbi Shimon Bar Yochai of blessed memory. Since everything in creation was created in two parts, we see that 974 years is exactly half the period to the birth of Abraham, and also exactly half the period from the destruction of the Second Holy Temple in 70 CE to 2018 CE (1948/2 years). We know also, as previously discussed that time is not statics and was greatly compressed in first few days before Adam’s creation and in the 2000 years that the Torah existed before Creation, easily accounting for the 974 generations. 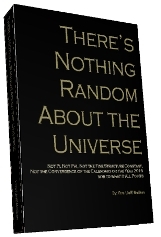 Nevertheless, lets say we take the paradox literally, and see how many generations there are until 5778 from the birth of Moses (the 26th generation), in order to complete the 1000 generations. As it turns out from 2368 (Moses’ birth) to 5778, there are precisely 974 generations of 3.5 (three and a half) years. What is this end of days prophecy is this reminiscent of? So there you have it. There is no real paradox unless you want to take the Torah, Mishna, Tanakh completely literally and disregard what our sages knew that days, months, years, 1000’s and generations are interchangeable reflections of the same spiritual concept. Once you grasp that, you can begin to grasp the reality of the Tree-of-life where there are no physical limitations or illusions. Rashi did not want to allow the possibility of a misunderstanding that the Torah has an expiration date. If the Torah was given to the thousandth generation, yet only twenty-six generations are discernible, nine-hundred seventy-four generations are “missing.” This, according to Rashi, is the lesson of the Talmud. According to this approach, both formulations are true: The Torah was given both to the thousandth generation and to the twenty-sixth generation. The solution lies in those who were “created but not created” before the world came into existence. While this solution works mathematically, the theological implications seem challenging. The passage from the Talmud offered as an “explanation” is difficult to understand. Were these people created or not? The entire passage seems paradoxical. “And this is the test that the Israelites will go through in the seventy years  of the last exile. Since a poor man is considered as dead and when his money or property is taken away from him, it is like they take is body and soul, as they are all at has the same weight. Note, that Rabbi Shimon was writing this at the start of the last exile, which Rav Yedhua Halevi Ashlag determined to be 1948 years long, analogous to the birth date of Israel in 1948 CE and of Abraham in 1948 HC as explained in The Divine Calendar. And before we reveal what else the Zohar has to say about the days of Mashiach and the geula, let’s note the section of the Tikunei Zohar that contained the secret of the 70 years was 222 as in 6000 – 222 = 5778. So the exile is being presented to us as a test of faith. and in the very next section we are told that after the final redemption will be the tree-of-life reality (Binah) and that those that connect to the Zohar will be spared the final tests of faith because they understand (Binah = Understanding). The seeds are always planted before the crops, and often it’s not where they are planted it’s by whom. In parsha Vayigash, 46:28 it says [Jacob] sent Judah ahead of him to make preparations in Goshen (Goshnah).” Goshen (Goshnah) has the same 4 letters as the Chanukah dreidle, and likewise they add up to 358, the numerical value of Moshiach. This is the area within Egypt and the Exile that Joseph arranged for his family and the Israelites to live. The name Goshen (גֹּשְׁנָה Goshnah) is only found twice in the Torah and hints at the two Mashiachs, Mashiach Ben Yosef and Mashiach Ben David, connected to Joseph and Judah respectively. By Joseph reuniting with Jacob, the spirit of Mashiach was restored, and the flow of mazal through Joseph could go to the Israelites, instead of the Egyptians who had been the previous beneficiaries. The Torah is also telling us that the spirit of Mashiach can be anywhere, even in the darkness of Egypt if we stay connected to the source of the Light, which is a message we need to hear now, more than ever. But with Goshen(גֹּשְׁנָה GShNH), the Torah is also spelling out the travels of the Mishkan (the Tabernacle), whose final home was prepared by King David in the Holy Temple in Jerusalem: G for Givon; Sh for Shilo; and N for Nov.
And the name Goshen (גֹּשְׁנָה Goshnah) really tanslates to “toward Goshen” as the Torah is pointing us toward Mashiach. And the dreidle only spells out numerically Mashiach (גֹּשְׁנָה) outside of Israel. Inside Israel the letter Pe, for Po, here, is substituted for the Shin, just as Goshen is also outside Israel, in the land of exile. King David was born 406 years after the Exodus from Egypt, corresponding to the spelled-out value of the Hebrew letter Tav (406) and since the Egyptian exile lasted 210 years, he was born 406 + 210 = 616 years after Jacob and his family first entered Egypt, with 616 corresponding to the numerical value of H’Torah, “The Torah.” If we separate the simple letter Tav (400) from H’Torah (התורה HTVRH), we’re left with a numerical value of 616-400 = 216, that of Gevura, the sefira (dimension) of judgment. But 216 is also the number of letters in the 72 Names (Triplets) that were used in conjunction with the Shem Mem-Bet (the 42-Letter Name) to facilitate the splitting of the Red Sea (Sea of Reeds), which in effect ended the exile in Egypt. Indeed, the 72 Triplets are derived from the 3 consecutive verses of 72 letters each that describe the actual splitting, the only incidence of 3 consecutive 72 letter verses in the Torah. And just in case we were to think that the triple 72 was just a coincidence, we find that the sum of the 216 square roots of the 216 (72+72+72) letters is 720.0, and that’s a phenomenon that just doesn’t happen coincidentally. But nothing happens without the seeds being planted first, and in parsha vayechi, where Jacob blesses his and Joseph’s children and thus the 12 tribes of Israel, and where in the last two verses of the Book of Bereshit, Joseph promises the Israelites that G-d will take them out of Egypt, we find that the numerical value of the portion’s first two words (וַיְחִי יַעֲקֹב vayechi Jacob) is 216. Moreover, as Joseph was making that promise to his brothers and family, he gave them the clue to there salvation when he told them to take his bones out of Egypt with them, for as we know from chazal, it was only with the aid and protection of Joseph’s bones (essence) being with them, that the Egyptians couldn’t hurt them and the waters split. This is important for us to understand, because all too often we try to do things on our own and we fail. The Zohar explains that the hardest thing for G-d to do is change someone’s mazal, and that mazal determines our sustenance, our children, and the length of our years. In other words, to each his lot, regardless of how pious, or many meditations, prayers, or sacred connections they make, or even how hard they work. If it’s so difficult for G-d, how much more so for us. And the Israelites mazal depended on Joseph, who not only had an abundance of it but was a channel for sharing it as well. Indeed, it was Joseph’s bones that Pharaoh didn’t want to let go of, not so much the Israelites. What was about to happen, the revelation of the Torah at Sinai was so significant, that it took even more than the temporary unification of the Israelites, the 72 Triplets, the 42-Letter Name (Ana B’koach), Moses, and the will of G-d on earth. It took Joseph’s mazal in order to succeed. Yes, G-d could have done it alone, but there are limits to what he wants to do for us, when we have it in our power to do for ourselves. How will our children learn to walk if we carry them everywhere we go? Indeed, when the Israelites stood before the sea, asking for a miracle in Shmot 14:15, G-d replied, מַה-תִּצְעַק אֵלָי Mah Tizak Elai, “Why are you crying out to me?” We had to do it ourselves. We had to overcome the illusions and tap into the Tree-of-life reality ourselves. 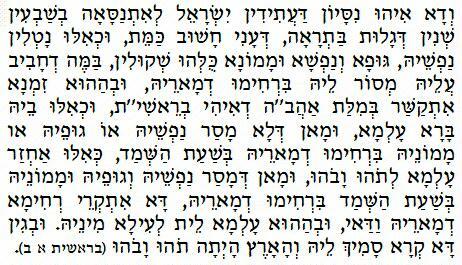 The first letters in Mah Tizak Elai spell אמת Emet, truth; we had to see the truth for ourselves. And so it is today. So let’s understand the Truth. Within the word Goshen is a deeper secret, but to grasp it fully we need to understand that the reason the land of Goshen was reserved for Jacob was that Pharaoh had previously given it to Sarah. Did you ever wonder about the strange incident when Abraham and Sarah went down to Egypt for food and he had Sarah pretend to be his sister when Pharaoh fell in love with her and wanted to take her, but G0d intervened. Well, one of the reasons was so Pharaoh could make a gift of Goshen to her while wooing her. As in our lives, nothing happens in the Torah without a reason. As revealed in previous blogs, Sarah was directly connected with the Moshiach, and was the first to seed the garden of Moshiach, of Goshen. Abraham and Sarah were trying to make the exiles easier for all of us, and they did. And don’t forget it was Sarah, reincarnated as Queen Ester (according to the Arizal) who saved the Jews during the Babylonian exile. That said, we can now explain that hidden in the word Goshen (GShNH), which we can interpret as Toward Moshiach is the word Shanah (ShNH) , meaning year (or time period), preceded by the letter gimmel (G) for 3, which hints a 3 time periods and the 3 Shanah (Shanah Shanah Shan’im)that we discussed etensively in the mysterious verse Bereshit 23:1, Sarah’s verse that referred to the time of Mashiach. As further hinted at in the 4 letters of Goshen (GShNH), and of Moshiach (MShYCh) and of the YHVH, there are 4 specific exiles cited by chazal, but they cover only 3 time frames, since the Greek Exile existed while the Second Temple stood. The first Exile began 70 years after Abraham’s birth in 1948 HC, and lasted 430 years from the Covenant of Abraham in 2018 HC to the Exodus from Egypt and the reception of the Torah at Sinai in 2448. This first exile included the more well known 210 years of the Exile in Egypt. The second exile, the exile in Babylonia, began after the destruction of the First Temple in 3338 HC, and lasted 70 years, when Ezra brought the Israelites back to Jerusalem and began constructed the Second Temple. 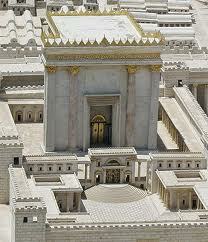 The 4th Exile, the Roman exile, is the current one and it began in 70 CE, when the Romans destroyed the Second Temple. And it is supposed to last 1948 years until 2018 CE and indeed the start of the final 70 year period began with the statehood of Israel in 1948 CE. The beautiful divine symmetry here is well documented in The Divine Calendar, but what still needs to be pointed out is that the sum of the 3 separate time period exiles is 430 + 70 + 1948 = 2448, as in the 2448 years from Adam to the reception of the Torah at Sinai. But it gets better, because not only is the 3rd exile, the Greek exile, hinted at in the 3 shanah of Sarah, whose collective ordinal value is 138 as in the year 138 BCE, when that exile ended, but since it began in 318 BCE ( a not so subtle link to Abraham’s 318 men who defeated armies, or the small gematria value of Mashiach 5318), it lasted 180 years, as in the 180 years of Isaac, Abraham and Sarah’s son. If we add the additional 180 years to the 2448 years of the other 3 exiles, we get a total 2628 years for the 4 exiles, and as explained in The Genesis Prayer, 2628 is not only the sum of all the recurrences of the Torah’s 4th and 2nd words, (ET and BRE), but is also the sum of the positive integers through 72, two not so subtle links to the 42 Letter Name and the 72 Names, tools, if used properly to help us through the exiles, and especially to end them. We know from chazal that the 42-Letter Name, the understanding through which the Mashiach will come, corresponds to the Torah’s first 42 letters and thus bridges the divine creation and the exiles: 1) without Form-Egypt; 2) and empty-Babylonia; 3) darkness-Greek; 4) the depths-Rome. While, the Torah hints that the Light will come after each exile, it also hints that we are currently in the depths, which has a numerical value of 451, the same as Ishmael. Now we know from the Zohar that the current exile is that of Rome, which is also Edom, the exile amongst the Christian nations, we see that it was also ordained to be at the hands of the Ishmaelites, the Moslem nations. While Abraham saw the prophecies fulfilled that both his sons would be great nations, Sarah knew how difficult it would be for her children and convinced Abraham to send Ishmael into the desert. But G-d has his plans and the exiles occurred as scheduled, with the 430 years of the full Egyptian exile corresponding to the exact numerical value of “without form and empty (THV V’BHV).” So Sarah prepared the ground for us, and continued to nurture us along the way. But there comes a time when the plants have to fend for themselves, when the children grow up and make their own decisions. It’s wonderful to have parents like Abraham and Sarah, but now we have to fight our own battles. G-d and the Torah have given us all the tools we need. If we choose not to use them; if we choose not to take responsibility for getting ourselves and our brethren out of the exile, G-d’s time frames will play out anyway. pretending we don’t see the steep slopes of of the abyss we’re at the bottom of wont make them any easier to climb. Yes, climb we must. This exile had 1948 years of descent; that’s a long way back up for us to make in only 9 short years, which is why down here on the floor of the abyss things are getting so bleak. Because G-d knows that it’s only out of true desperation that Man will climb up and try to save himself. Just look to the prior exiles and you’ll see: Pharaoh kept upping the ante on brick-making for the Jews to decide they’d had enough; the Babylonians were an edict and day away of killing all the Jews before the Jews found unity; and the Greeks had to desecrate the Holy Temple with idols nearly wiped out all the Jewish ways before they revolted. But once they did make up their minds to fight there way out, G-d sent them the leaders and the means. This exile gave us endless oppression and tragedy and moreover endless distractions. 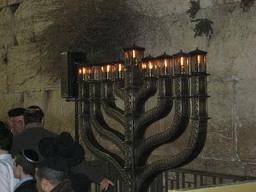 It gave us the Holocaust, where 6 million Jews gave there lives, and from that depth new leaders and Israel arose in 1948 CE, our ladder out of the abyss. But the climb for the last and final 70 years has proven treacherous at best and the path fraught with danger and illusory distractions that keep causing us to lose our footing. G-d is by our side and routing for us, but He will not do it for us. Had that been his plan there would have been no need for exiles in the first place. For guidance, we must look to the tools He has given us, see what saved the Israelites in the past exiles. Our ancestors went through so that we would be saved. Let’s learn from them. And the first lesson is unity and loving-kindness for one another. And the second lesson is that there are no easy roads out. Beware if someone offers you false hope of light at end of the darkness without hard work; that’s not the path of the Light. The path of the true Light is the path of the righteous and it’s the hardest path. But for those that want to see Moshiach, experience the geula (final redemption) reach the Tree-of-life reality, it’s the only path. Let’s turn the seeds of Goshen (גֹּשְׁנָה GShNH) into Gan Hashem גן השם and finish what Abraham and Sarah started.